ONA offers the opportunity to take workforce data and visualize the analysis and insights, with the ultimate objective of strengthening the connections that exist between employees and removing barriers to productivity. Posted by Timothy Davis and Jeff Mike on November 30, 2018. However, organizations could be undermining their engagement and productivity efforts with too much administration, according to a new research report from Kronos titled “ The $687B Question.” Organizations need to develop contingent worker strategies to maintain productivity. Today’s Time Well Spent focuses on the value of having workforce data when we need it. Cloud-based solutions give us the information we want at the moment we need it – maybe call it a productivity cloud. The cloud allows us to be productive from anywhere. Intent data , as we have shown repeatedly with clients, can be used as a diagnostic tool. Consider this chart: The buyer research data shows how much research this prospect was conducting across a range of categories. Data Visualization Can Save Lives! And which data sets should I track? Topics will include: How to make sure you are set up to be as productive and efficient as possible. Have you ever been on a team with high functioning recruiters and wondered "I need to do more of what they're doing"? 000000000000Campaign/FTC disclosure: This is a sponsored product review. I only work with companies I feel have great products, services and offerings. In accordance with my blog disclosure statement, I will only work with and showcase products, events and/or companies I believe my readers will benefit from. Truitt Karlos Palmer Marketing Microsoft Office Microsoft Office 365 Nakul Kapoor Predictive Analytics productivity Sales Small Business. To tackle the challenges 2019, business leaders will need to improve productivity and efficiency in an increasingly competitive market for highly-skilled talent. Productivity2018 brought big changes for employers and their teams. These are technologies that enable HR to go beyond the advancements that cloud solutions have delivered to create a truly differentiated, worker-centric, productive, and Simply IrresistibleTM workforce experience. One of the four shifts for the Future of HR. WebMD ONE collects data based on user interactions and suggests recommended next steps. PayScale, a compensation-software company, now provides customers with access to company-sourced compensation data collected from more than 2 million employees at 1,143 companies. of the company’s products and services into the market. Introduction 2 H O W R E C R U IT E R S C A N C R E A T E A P R E D IC T A B L E C A N D ID A T E P IP E L IN E 1 Million fewer applicants available for computing jobs by 2020 *Data is from code.org Where Traditional Recruiting Pipelines. In this new social enterprise, more collaborative and productive relationships with employees, customers, and communities go hand in hand with the quest for revenue and profit. What’s your Net Productivity Score? Our vocation is to improve the productivity of our workforces.”. Data doesn’t sleep. From user to behavioral, geographic to bank, your phone and other gadgets become an aesthetic and customizable visualization of your collected experiences (data). Existing everywhere, including in your channel, data should therefore be cultivated, analyzed, and explored as a fundamental channel asset. This abundance of data exists in your channels because multiple moving pieces come together to form one ecosystem. 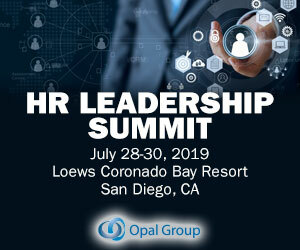 As a result of all this, leading HR organizations will focus on empowering work, driving productivity, and responding to shifts in the business with game-changing agility. Conducting experiments and collecting data to drive decision-making. What questions should you prepare for product demos? products and services you sell. Integrated Background Checks Shift the collection of sensitive data from your company to the experts. Implementation fees Data import fees ?DEFINITIVE Technology & Data 39. Despite years of hype, development, and openhanded spending, big data and business analytics haven’t lived up to their massive potential. Most importantly, the company has developed an innovative and disruptive product that is uniquely capable of addressing substantial market demand. Every time a recruiter gets the right person in the right seat, the benefits from measurable improvements in employee performance has an impact on bottom-line outcomes such as new sales, product improvements, or increased patient satisfaction scores. Somewhat surprisingly, directional data revealed that more. professionals with career opportunities, data, insights and advice. Learn more at dice.com/products. RECRUITMENT. AUTOMATION. REPORT AI and Hiring: How today’s recruiters are bracing. Maintaining a productive workforce is a tricky task. But productivity is an important factor in any businesses success. The infographic also takes a look at what employ ees and employ ers can do to promote a more productive attitude within the workplace. Simply because you can’t increase revenue without satisfying customers and producing a product that sells more or that you can charge a premium for. Innovation… plus productivity. I recommend that you start with data and analytics covering the cost of recruiting failures. recruit candidates for the highest productivity, biggest business returns, deepest innovations. Dice’s most recent Ideal Employer data. providing tech professionals with career opportunities, data, insights and advice. Dice Diversity. and Inclusion Report. Historically, many issues arose from lack of data. 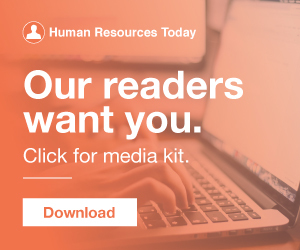 Specifically, this initiative is not just about understanding data-driven HR and the usual metrics, but specifically how HR can connect what it’s doing to business outcomes. And then there’s all this data. 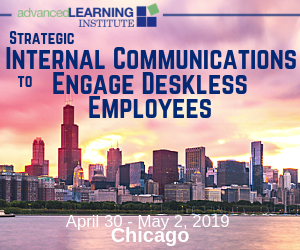 Over the last few years, employee productivity has become one of those ubiquitous business buzzwords like company culture and employee engagement. I can tell you that when we share posts on social media, the ones dealing with productivity outperform the others by a wide margin. Using data to generate business value has become a critical need for businesses to remain innovative and competitive. However, many organizations today are facing the challenges of information overload caused by the exponential growth and availability of data. Because small organizations tend to offer niche products or. PayScale’s Insight lab tool can rely on their own employee data to see exactly. equity data. small organizations choose market data, they prioritize data that is credible. compensation data.